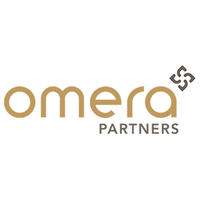 Omera Partners is one of Australia’s leading firms in executive search and executive interim. Omera have relocated some of the world’s most talented Non-Executive Directors and C Suite Executives right into their clients’ boardrooms and started Omera Interim Management in 2017. Connecting the best with the best is still the purpose today. Omera Partners currently has 19 Executive Search Partners, a Board of Directors Advisory Partner and an Interim Management Partner working across offices Sydney, Melbourne, Brisbane, Singapore and Hong Kong, and serving clients throughout the Asia-Pacific region. Omera Partners has a talent pool of over 1,500 interim executives, primarily ‘C’ Level executives, covering a wide range of sectors. Chief Executive Officers, Chief Operating Officers and top of professions in the corporate centre e.g. They also have a network of special Project and Programme Directors. Omera Partners is the exclusive partner of Senior Management Worldwide (SMW) in Australia and Singapore.